This part encodes for the wild-type immunity protein inhibiting the nicking DNase Colicin E2. According to molecular dynamics simulations this protein inhibits also miniColicin (BBa_K1976048 and BBa_K1976049). Figure 1:Structure of Colicin E2 imminity protein with (Y8OMT) mutation. The mutated amino acid is highlighted. The structure is derived from an molecular dynamics modeling calculation. 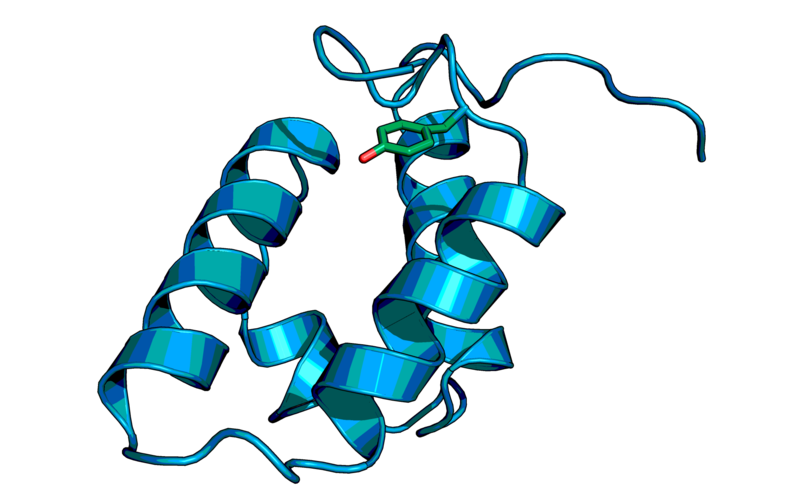 The Colicin E2 immunity protein can be used in combination with the Colicin E2 DNase or its engineered truncated variant miniColicin (BBa_K1976048 and BBa_K1976049). Figure 2: SDS-PAGE of the Colicin E2 immunity protein. The arrow marks the band of the expression. The expression of protein variants, wild-type (BBa_K1976026) and with amber mutation (BBa_K1976027) were tested under control of the T7 promoter (BBa_K1976033 and BBa_K1976031) in BL21 without an supressor orthogonal pair. Each sample was applied before and after induction with IPTG. 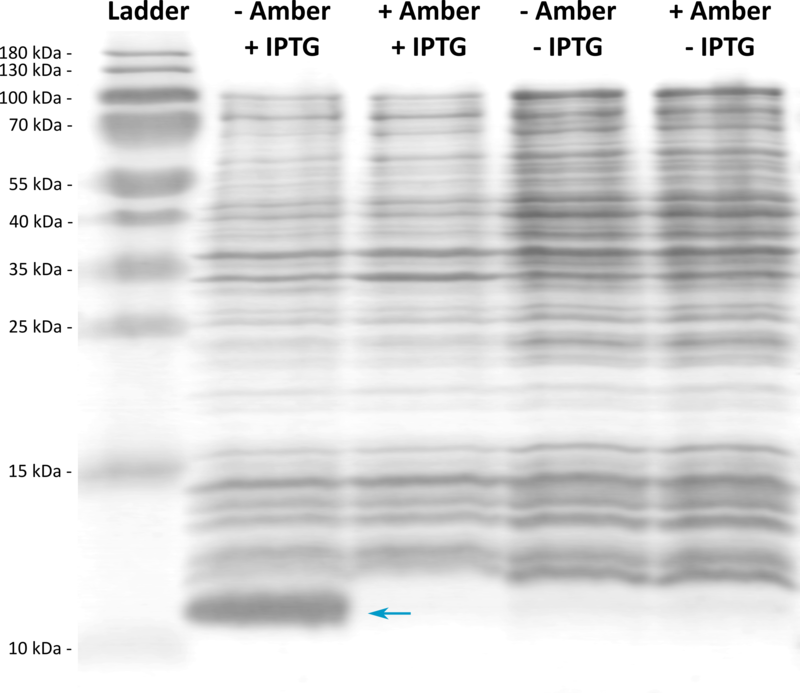 It can be seen that the immunity protein with a molecular weight if ~10 kDa is only present after induction with the wild-type variant.